With so much on their running plate including training, racing, and mentoring new runners with the Couch to 5K Running Program in Nolensville, there’s no doubt why they are both at the top of the Leaderboard in Walk Tennessee. 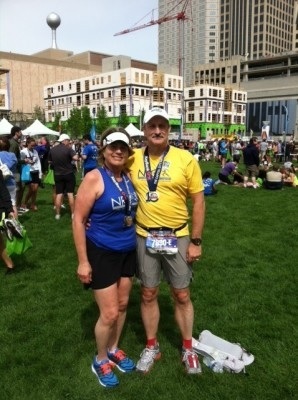 It might be difficult to surpass this fierce running couple from the Nolensville Team – catch them if you can! If the couple that runs together has fun together, then we can all take some pointers from Keith and Chris Kettrey! Dynamic members of the Walk Tennessee community on cMEcompete, this power running couple has taken the Nolensville Team by storm with the amount of events they have been participating in since joining cMEcompete in 2013. They’ve participated in so many events that we couldn’t let the opportunity pass without asking them a few questions to get to know them a little better! The first to take on running was Keith, who was experiencing some health issues, complicated by being overweight: “Almost 4 years (and about 50 lbs ago), I was at my console in the 911 center when I had my own bad day. Several doctors’ visits later determined I had some heart disease and mild tremors, which served as a wake up call to get moving. A friend recommend Fleet Feet for shoes where I learned about their No Boundaries running program so I thought running would serve me as the best way to work on my health and weight issues. Chris saw how much fun I had in the program and decide later on to join me too.” After all, guys can’t have all the fun in fitness! 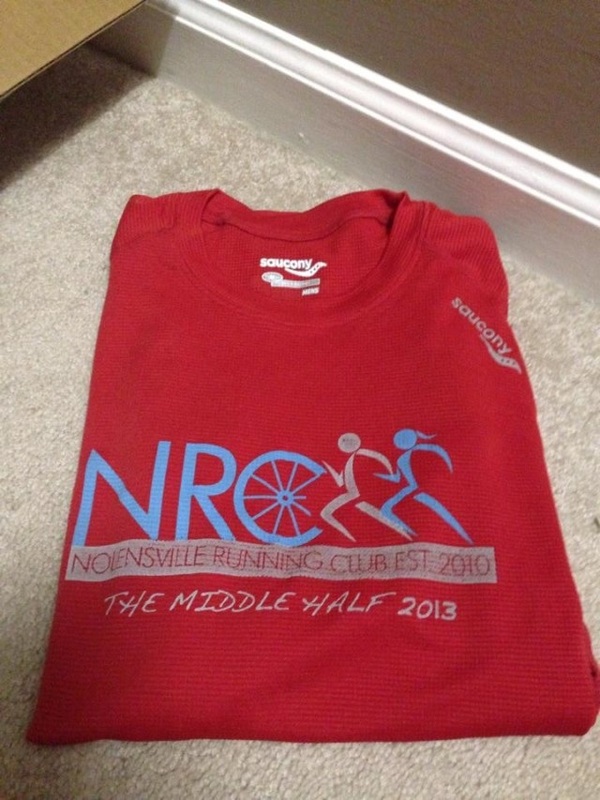 The Kettreys soon joined the Nolensville Running Club and have met great new friends along the way. While going to breakfast with members of the Nolensville Running Club at Mamas Java after a Saturday run is at the top of Chris’ list, being outdoors and just moving is the Kettreys’ favorite thing about running: “Running has helped us eat better, lose weight, sleep better, feel better overall and introduced us to a lot of new friends. I firmly believe the biggest benefit for me has been the stress relief that running provides, especially after a shift of answering 911 calls.” After hearing about cMEcompete on the Nolensville Running Club Facebook page, the Kettreys joined the Walk Tennessee initiative and have been racking up points with all of their events ever since. Stay tuned for Part 2, when we learn more about the Kettreys and what the future holds for them in fitness!